4. The same structure is consistent throughout the analysis of the floop, turn and river cards. The language and the wording of the book are both easy to understand and makes it a joy to read. In total, the book contains 57 hands, also highlighting the author’s mistakes and rates all individual hands based on final decisions. I would heavily recommend this book to those who already have a basic knowledge of the game and seek to improve their gameplay. 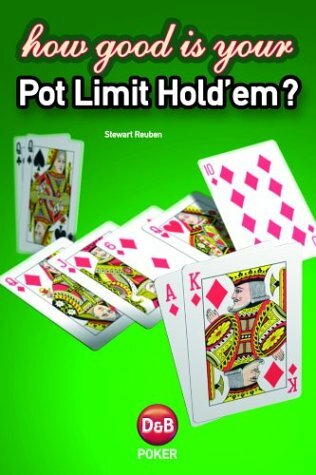 If you happen to be a limit hold’em or omaha player, you have not been forgotten, both ’How good is your limit hold-em?’ and ’How good is your pot-limit omaha?’ are also available.